Thousands of people poured into Malta’s capital city, Valletta, on Sunday (10 April) in a show of anger over revelations in the Panama Papers that top government figures had created shady offshore entities. 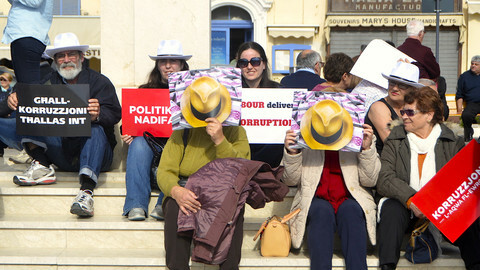 Chanting “barra, barra”, which means “out, out”, and carrying placards with the same word in Malta’s two official languages, English and Maltese, they called for the resignation of prime minister Joseph Muscat, his chief of staff, businessman Keith Schembri, and his minister for energy and health, Konrad Mizzi. Mizzi and Schembri had set up secret companies in Panama, held by undisclosed trusts in New Zealand, after they took office in March 2013. They also tried to open secret bank accounts in Panama and in Dubai at the same time as negotiating a behind-closed-doors energy deal with Azerbaijan, a notoriously corrupt dictatorship. Muscat’s refusal to hold them to account has prompted the opposition Nationalist Party to table a motion of no confidence in his government. A parliamentary committee is to decide the date of the no-confidence vote on Monday evening. Muscat, who is on a trip to Jordan and Lebanon, had proposed Friday for the vote. But the opposition said that would not give MPs enough speaking time, and asked for it to be held early next week. 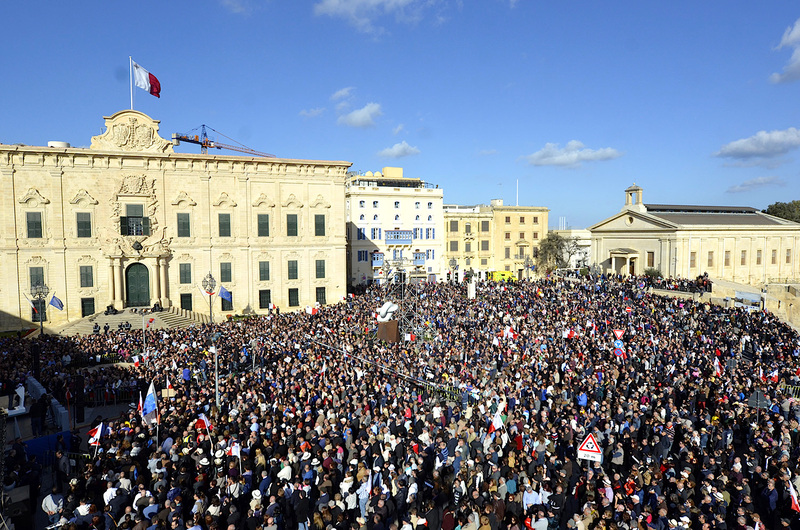 Speaking to the crowd in Valletta on Sunday, Nationalist Party leader Simon Busuttil said Muscat had “lost the moral authority to lead the country”. “We are not calling for the resignation of the entire government, or for an early election,” he said. A few hours before the rally, the Australian Financial Review broke news of another offshore company created by Schembri in the British Virgin Islands in 2011, shortly before the Labour Party was elected. One of the protesters, 50-year-old office worker Angie, told EUobserver she felt “degraded and embarrassed” by the “greed and corruption”. 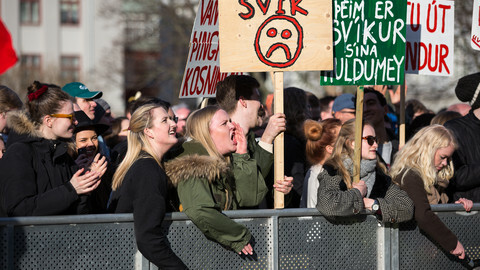 A common theme at the protest was the feeling that the prime minister had directly broken promises to lead a clean and transparent government. “We were promised transparency, meritocracy and a new way of doing politics, and we got jack,” said Daniel, a 29-year-old accountant. 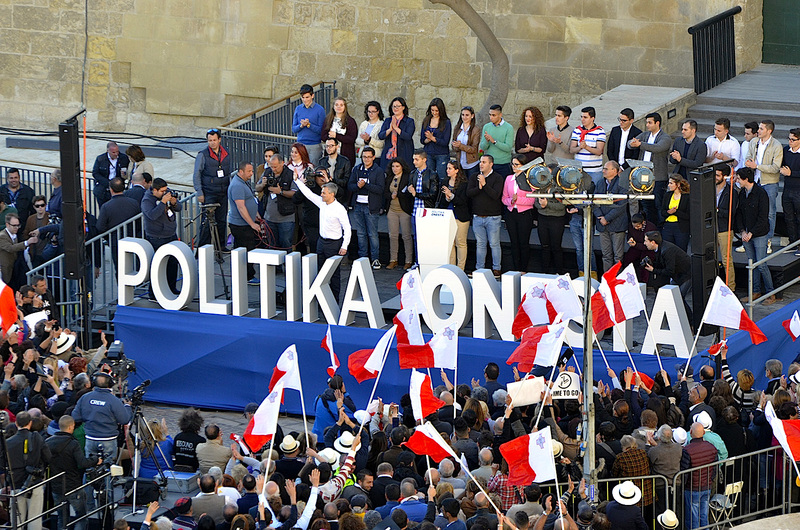 Busuttil, the opposition leader and former MEP, told the crowd: “The prime minister finds out that his favourite minister has a secret company in Panama, and instead of kicking him out, he promotes him. “These are not just any members of the government, but the two who are closest to the prime minister. 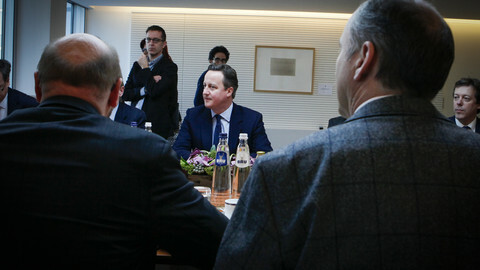 Muscat declined to comment on the street protest before leaving for the Middle East trade trip. He earlier said he would wait for the result of an independent audit into the finances of Mizzi and Schembri before making a decision. Muscat's spokesman Kurt Farrugia told this website on Monday that the government was confident it would win an “unequivocal vote of confidence” in parliament. 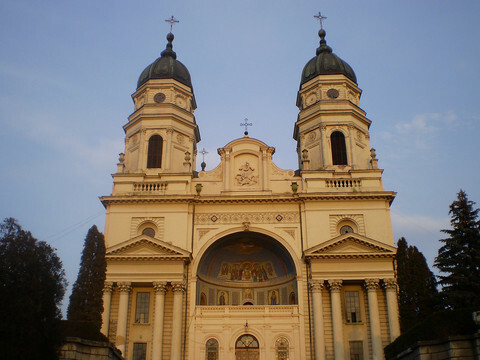 Schembri, a former businessman, said he created the structures because his business advisers told him they were needed to manage his holdings in foreign firms. The Labour Party has a comfortable majority in parliament ahead of the no confidence vote. 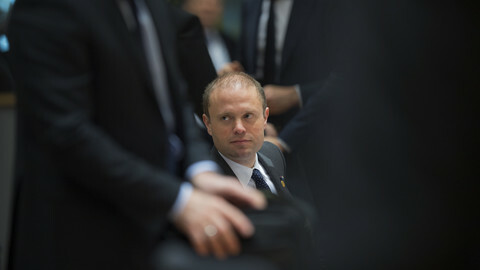 But in signs of cracks inside Muscat’s camp, Edward Scicluna, Muscat’s finance minister, last week urged the PM to take “hard decisions” on Mizzi and Schembri for the sake of Malta’s international reputation. Alfred Sant, a former Labour Party prime minister who led the party between 1992 and 2008, said on Facebook on Sunday that Muscat had “behaved prudently and with an admirable sense of fair play”, urging members to give him “full support”. But he added: “In his own interest … as well as the national interest, the honourable thing to do would be for minister Konrad Mizzi to resign as quickly as possible. A Maltese international relations expert, Joseph Pirotta, told EUobserver the affair was “destabilising the country”. “The economy and all that goes with it is suffering,” he said. Josef Vella, of the Voice of the Workers trade union, which participated in the demonstration yesterday, said he felt “insulted” by the actions of the government. “We are moving from one soap opera of scandal to another,” he said. 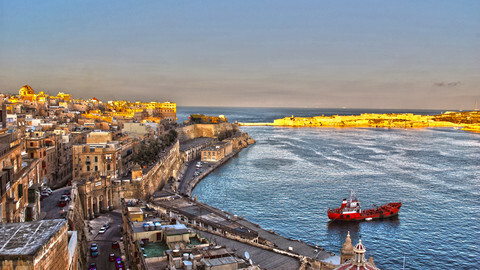 However, Malta’s Chamber of Commerce appears to be exercising patience. 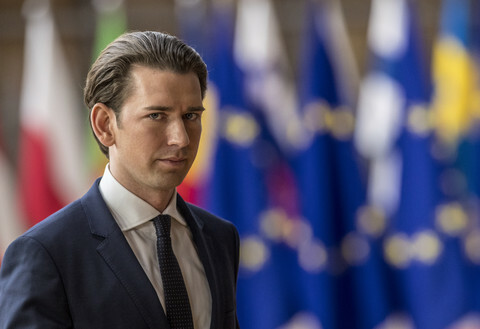 “We are waiting for the prime minister’s decision,” Anton Borg, the chamber's president, told EUobserver by telephone after the protest. German daily Sueddeutche Zeitung has led the exposure of the offshore dealings of politicians and business people from around the world after it obtained a leak of 11.5 million files from Mossack Fonseca, a Panamanian law firm. The revelations, published by several media in partnership with the International Consortium of Investigative Journalists in Washington, also implicated top politicians in Iceland, Russia, the UK, and Ukraine. Iceland’s PM has stepped down and British PM David Cameron, who was forced to admit he made a profit from offshore entities created by his father, has promised to pass a law to punish companies that facilitate tax evasion. Two opposition MPs have called on British prime minister Cameron to resign after he admitted to making profits from an offshore entity. Joseph Muscat's government won a vote of confidence on Monday after a debate about offshore companies owned by two of his allies, revealed in the Panama Papers. Joseph Muscat said he would resign if an inquiry links him or his wife to an offshore firm in Panama. 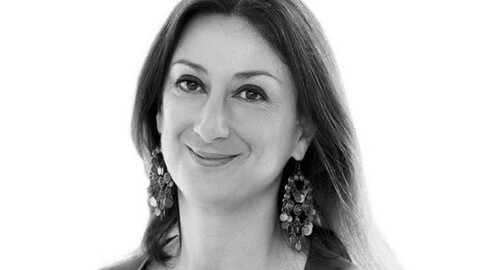 The EU is not the right body to investigate Daphne Caruana Galizia's murder - but it can take steps to stamp out the corruption that she died fighting.